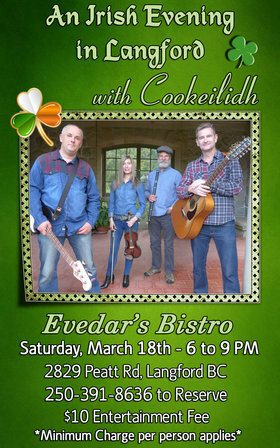 Celebrate St. Patrick's Day with an Irish Evening in Langford at Evedar's Bistro, featuring Cookeilidh! Evedar's boasts some of the best food in town... combine that with some toe tappin', hand clappin' music and you're in for a rollickin' evening of fun! 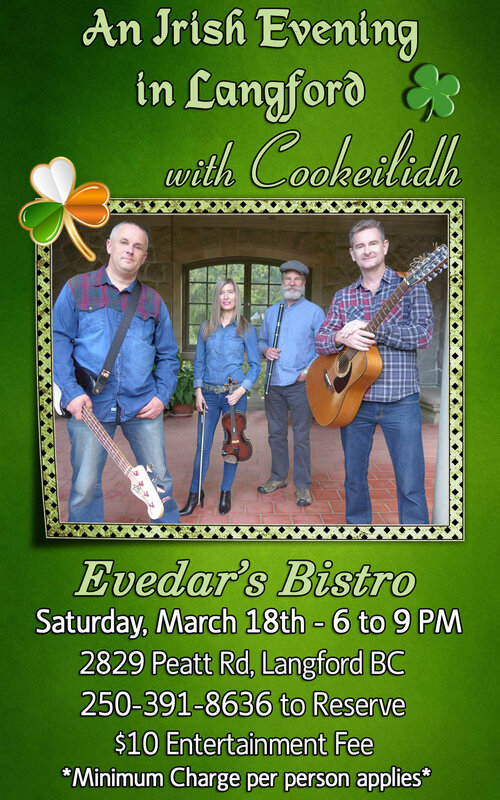 Cookeilidh has been delighting audiences for years with their high energy traditional, and modernized Celtic tunes. Comprised of 12-string guitar, electric bass, Irish flute, fiddle, bodhran, and vocals, they define their music as “Trad with Attitude”, “Celtic Craic”, and “Pot O’ Gold Folk”. If it’s a kitchen party you’re after… you’ve come to the right place! Book early to reserve your table. 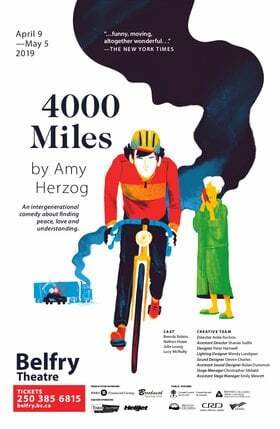 $10 Admission (Minimum Charge per table required).